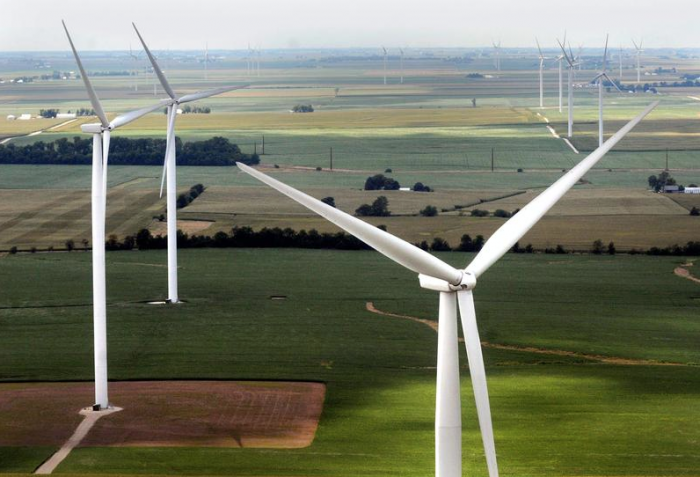 In its first year on the property tax rolls, the California Ridge wind farm contributed more than $2.3 million to the coffers of schools, community colleges, counties, townships, libraries and fire districts in Champaign and Vermilion counties. Nowhere was the wind farm windfall bigger than in Armstrong, where a school system which barely tops 200 students raked in more than $1 million in new tax dollars. That’s more than a third of the system’s $2.9 million in total revenue last year. About $1.5 million of that was local property tax revenue. Superintendent Bill Mulvaney said the wind turbines more than doubled the school system’s equalized assessed valuation.